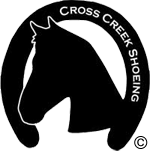 Welcome to the Cross Creek Shoeing web site. Cross Creek Shoeing provides horse trimming and shoeing services to the areas of Santa Clarita Valley (Saugus, Canyon Country, Valencia, Newhall, Castaic), Acton, Agua Dulce, Val Verde, Green Valley, Lake Elizabeth, Leona Valley and surrounding areas. Other areas serviced upon request & availability. Loren Warner provides professional, prompt and reliable horse shoeing services. Loren is a certified farrier with the following: AFA Certified Farrier (American Farrier’s Association), Natural Balance Certified Farrier and EponaShoe Certified Farrier. Loren offers a variety of farrier services to fit your horse’s needs. All services are based on sound shoeing practices and experience. Member of the AFA (American Farriers Association). 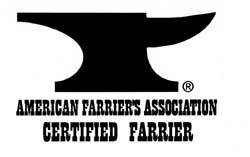 Member of the SDCFA (San Diego County Farriers Association). 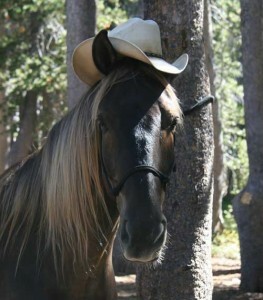 Member of the WSFA (Western States Farrier’s Association).